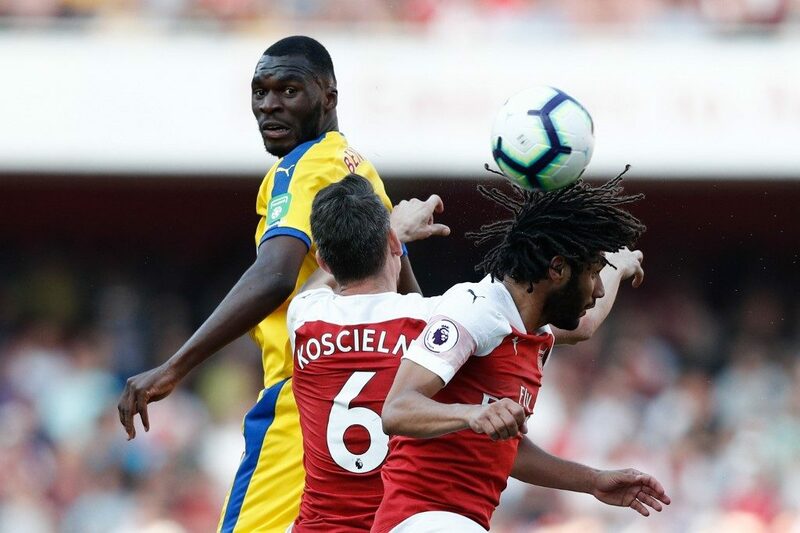 Arsenal’s bid for a top four finish in the Premier League suffered a major setback as Crystal Palace punished their sluggish display to claim a shock 3-2 win on Sunday. Shkodran Mustafi’s blunder allowed Wilfried Zaha to put Palace back in front. They were authors of their own downfall when Palace took the lead in the 17th minute. Shell-shocked Arsenal crumbled again as Palace made it three in the 69th minute. But it was too late to spare Arsenal’s blushes as Matteo Guendouzi wasted their last chance with a weak finish. Liverpool continue to put the pressure on Manchester City as a hard-fought 2-0 win at relegation-threatened Cardiff moved them back top of the Premier League on Sunday. City travel to Manchester United on Wednesday in what appears the toughest hurdle left for the English champions to clear and deny Liverpool a first Premier League title in 29 years. 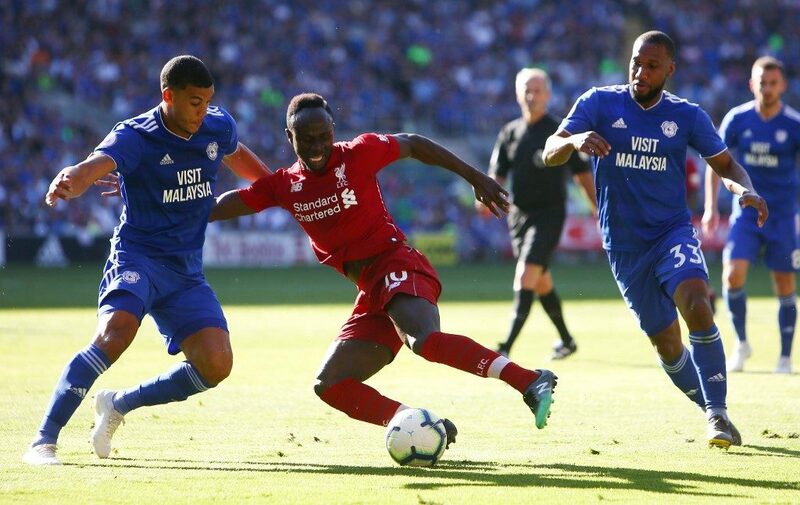 While Liverpool were cruising into a second successive Champions League semi-final in midweek, Cardiff gave their chances of survival a huge boost with a 2-0 win at Brighton to close within three points of safety. Salah has found his form in front of goal at the right time for Liverpool’s bid for a Premier League and Champions League double. There was little reason for Liverpool to panic at half-time as their previous four Premier League games had also been won with second-half goals and so it proved once more. Sudan’s army ruler General Abdel Fattah al-Burhan said Sunday that more than 113 million dollars worth of cash in three currencies has been seized from ousted leader Omar al-Bashir’s residence. 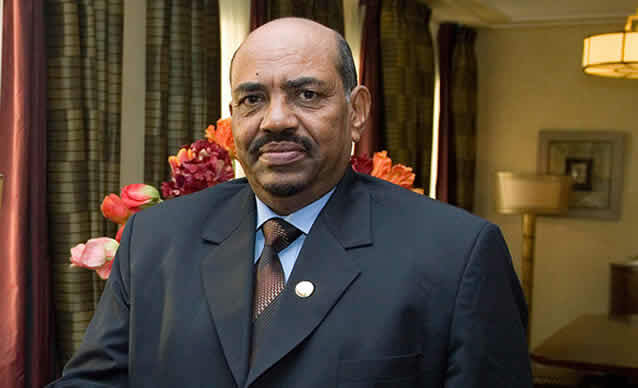 He said a team of police, army and security agents found seven million euros ($7.8 million), $350,000 and five billion Sudanese pounds ($105 million) during a search at Bashir’s home. Sudan’s new acting prosecutor general Al-Waleed Sayyed Ahmed meanwhile asked authorities to register all private properties belonging to officials of the previous regime, the official SUNA news agency reported. He also asked them to stop processing requests for the transfer of ownership of properties that belonged to former regime officials and members of their families. 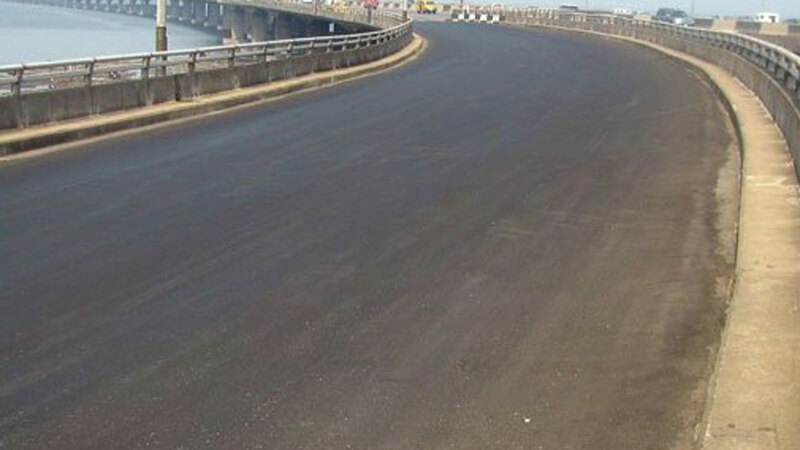 Lagos Water Corporation says road construction disrupts supply to some areasThe Managing Director, Lagos Water Corporation (LWC), Mr Muminu Badmus, on Sunday said the road construction along Lagos-Abeokuta expressway has caused water scarcity around the adjoining communities. According to him, the construction work at Iyana Ipaja area has damaged the water mains and pipe supplying water to those areas. “The present disruption of Water supply being experienced in these areas is as a result of a heavy burst on LWC 1200MM Ductile Pipe due to ongoing road construction activities along the Lagos – Abeokuta Expressway. “The water mains and pipe at Iyana Ipaja Bus Stop are supplying potable water to the affected communities. Badmus, however, assured that the corporation’s engineers were working hard to restore normal water supply to those communities. 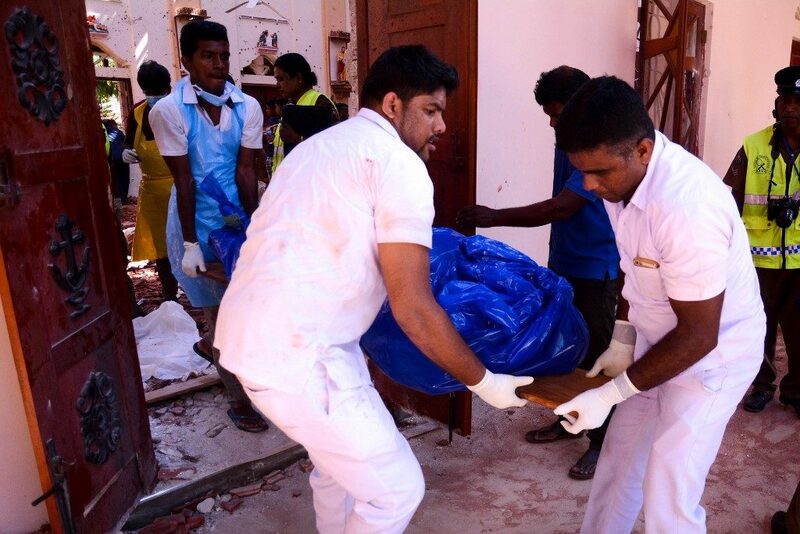 A series of eight devastating bomb blasts ripped through high-end hotels and churches holding Easter services in Sri Lanka on Sunday, killing at least 207 people, including dozens of foreigners. For many in Sri Lanka, the apparently coordinated attacks brought back painful memories of life during the long-running conflict, when bomb blasts were a frequent occurrence. The NTJ is a radical Muslim group in Sri Lanka that was linked last year to the vandalisation of Buddhist statues. Only around six percent of mainly Buddhist Sri Lanka is Catholic, and the country is a patchwork of different religious and ethnic groups, dominated by Buddhist Sinhalese. There have been no attacks in Sri Lanka linked to foreign Islamist groups, but in January, Sri Lankan police seized a haul of explosives and detonators following the arrest of four men from a newly formed radical Muslim group. Nigeria Customs Service (NCS) has generated revenue of N311.2 billion for the first quarter of 2019. 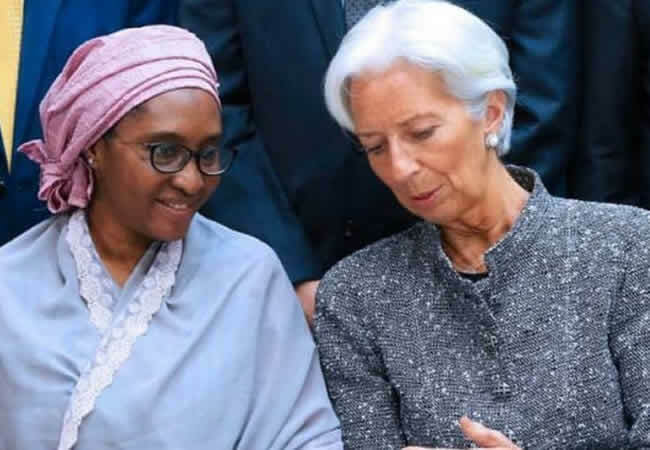 The Federal Government had set a revenue target of N887 billion for NCS in 2019. The document indicated that NCS got a revenue of about N116.5 billion in January, N84.9 billion in February, while N109.8 billion was generated in March. According to the document, Apapa Customs’ command has the highest revenue generated followed by Tincan. The News Agency of Nigeria (NAN) reports that customs generated revenue of about N1.2 trillion in 2018. The Enugu State Police Command has advised Enugu residents to be wary of activities of online and financial fraudsters allegedly operating in some parts of the state. The Command’s Public Relations Officer, SP Ebere Amaraizu, in a statement issued on Sunday in Enugu said that the antics of the mischief makers came to the limelight via recent intelligence information. The police spokesman said that these groups of mischief makers had deployed several antics, including investing money on high interest yielding ventures, thereby swindling victims of various sums of money. “Residents should call the command’s distress numbers of 08032003702, 08075390883, 08086671202 and 08098880172. “Or through our social media platforms of twitter@PoliceNG_Enugu and Facebook @nigeriapoliceforceenugustatecommand,’’ he said. Governor Rotimi Akeredolu of Ondo State, has called on Nigerians to continue to love,trust and believe the words of God which enjoined them to love one another. 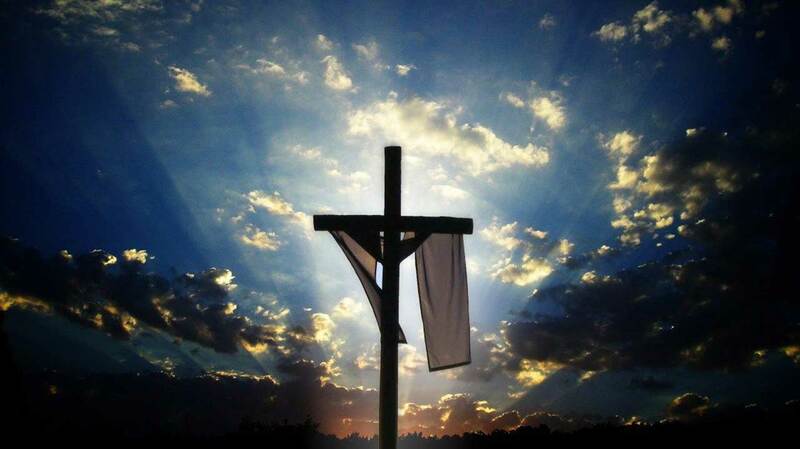 This was contained in the Easter message to the people of the state and Nigerians, charging them to continue to live in peace. The governor who noted that development thrives in a peaceful environment urged Christians to continue praying for the peace of the land. 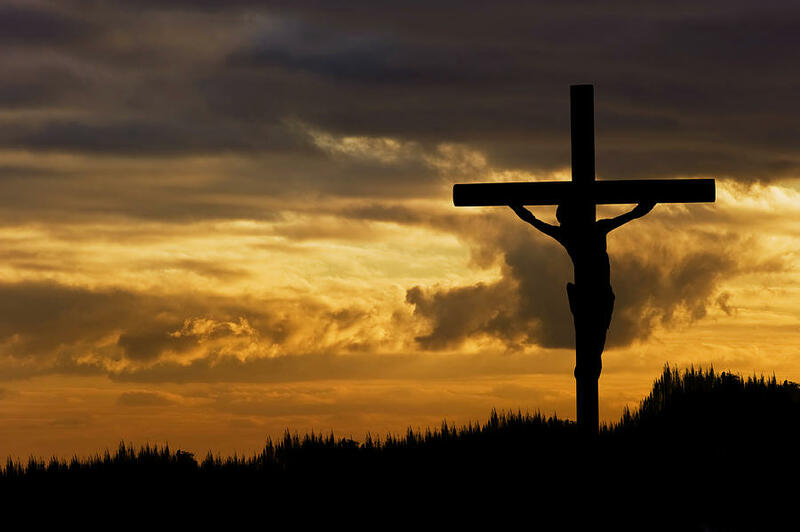 The governor in a statement issued by the governor and signed by his Chief Press Secretary (CPS) felicitates with Christians across the country on the successful celebration of this year’s Easter. Akeredolu urged the Christian community to continue to trust and believe the words of God which enjoins them to love one another. 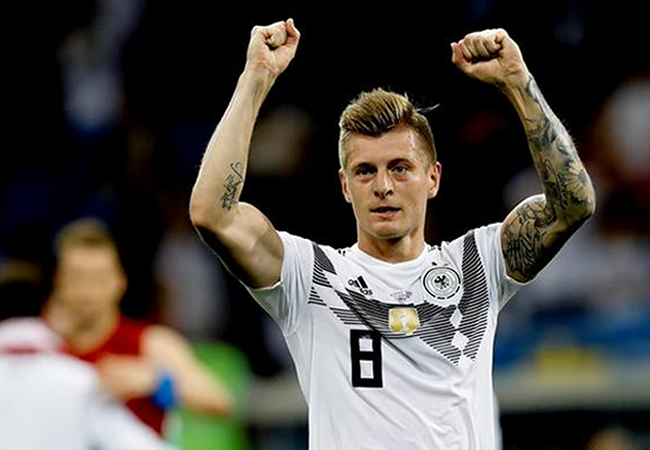 Captain Marco Reus played through pain to inspire Borussia Dortmund to a 4-0 win over Freiburg on Sunday and keep them on the heels of Bundesliga leaders Bayern Munich. A silky move in the box saw Dortmund take the lead after 12 minutes, with Raphael Guerreiro and Marco Reus linking to provide Jadon Sancho with a tap-in. Guerreiro, returning to action after two weeks out injured, then set up Reus for Dortmund’s second eight minutes after half-time. Lucien Favre’s side survived a handful of chances for Freiburg before a brutal counter-attack saw Reus set up Mario Goetze to make it 3-0. Dortmund faces local rivals Schalke in the Ruhr derby next Saturday before Bayern travel to take on Nuremberg the following day. THE Edo State Police at the weekend in Benin explained how four members of the dreaded Boko Haram Islamic sect were nabbed at Auchi, Etsako West local government area of the state. Determined to nip the planned attack in the bud, Nwanbuzor, a deputy superintendent of police said that the state Commissioner of Police, Mr Danmallam Mohammed directed the tactical teams of the command to go after the criminals who double as kidnappers. He added that on Friday, April 19, raiding, coding and search was conducted within the Auchi axis which resulted in the arrest of the suspects. The spokesman gave the names of the suspected terrorists as Salihu Uzovehe, 23; Hadi Miss 23; Tijani Haruna, 24; Mohammed; and AbdulRasaq, 44. He advised people to be vigilant and always be at alert about suspicious movement of persons and report same to the police. “Commuters and Lagos residents will recall that the Third Mainland Bridge was shut down for a 3-day Investigative Maintenance in August 2018. “However, all the tests done preparatory to closure of the Bridge to commence comprehensive Maintenance works indicate that the integrity of the Bridge is intact. “Therefore, the Third Mainland Bridge is safe for use, and people should desist from spreading or sharing false information about the Bridge on Social Media platforms. The Third Mainland Bridge is the longest of three bridges connecting Lagos Island to the mainland; the others are the Eko Bridge and the Carter Bridge. By 2006, many commuters reported that the bridge was vibrating noticeably, indicating that it needed urgent maintenance works. The Federal Ministry of Power, Works and Housing, on Sunday said that the Third Mainland Bridge in Lagos was safe for use, contrary to a Facebook posting spreading fears about the bridge. “Commuters and Lagos residents will recall that the Third Mainland Bridge was shut down for a 3-day Investigative Maintenance in August 2018. “However, all the tests done preparatory to closure of the Bridge to commence comprehensive Maintenance works indicate that the integrity of the Bridge is intact. “Therefore, the Third Mainland Bridge is safe for use, and people should desist from spreading or sharing false information about the Bridge on Social Media platforms. 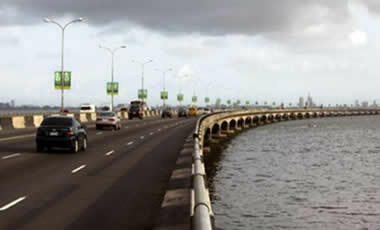 The Third Mainland Bridge is the longest of three bridges connecting Lagos Island to the mainland; the others are the Eko Bridge and the Carter Bridge. The North West Coordinator of the All Progressives Congress (APC ) New Representatives Members of the House of Representatives, Architect Ibrahim Almustapha Aliyu, has said the Forum has thrown its full weight behind the party’s endorsement of the incumbent House Leader, Mr Femi Gbajabiamila, as the Speaker of the incoming 9th Assembly. Architect Aliyu told newsmen in Sokoto on Sunday that the action of the forum was to uphold party supremacy, bolster democracy and ensure stability at the Green Chamber. Architect Aliyu, who said the forum has no fewer than 164 members added, “we toe to the party line, We have endorsed the choice of Femi Gbajabiamila as the Speaker of the 9th Assembly. 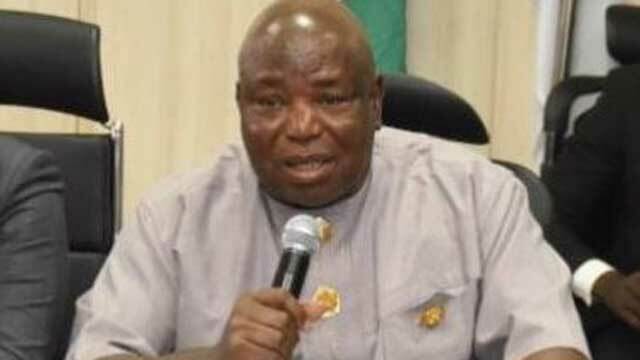 The member-elect of the House of Representatives also chided the PDP-led Sokoto State Government for perpetrating the obnoxious trend, saying, “this is not democracy in this 21st century. He submitted that the section gives the citizens the right to freely partake in politics, irrespective of their employment statuses. Euro bonds, loans from World Bank Group, China and Africa Development Bank Group make up over 80 per cent of the country’s debt stock. Ahmed insisted that in spite of warnings by the IMF and World Bank, the country was not in any way near a debt crisis. SEE ALSO: From the first whistle everything went wrong, Solskjaer apologises to United fans“The World Bank and IMF are cautioning us on the rate at which we are borrowing. “We are very mindful of the level of our borrowings. The Correspondent also raised concerns about whether the conditions for the loans were favourable to the overall interest of Nigeria. 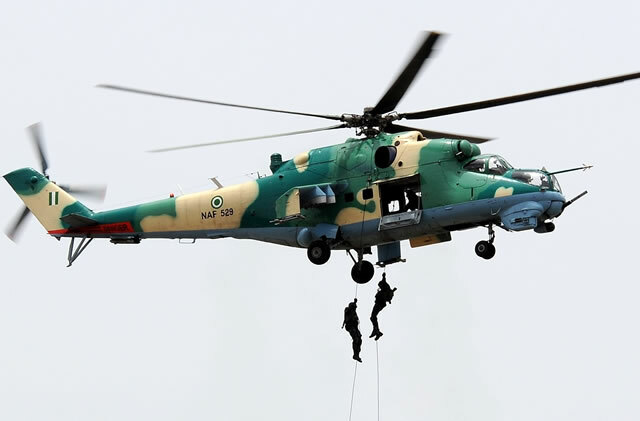 The Chairman, Zamfara State Council of Chiefs, Attahiru Ahmad, has apologised to the Nigerian Air Force over its recent allegations that innocent citizens were killed in the state during air strikes by personnel of the Air Force. The News Agency of Nigeria recalls that the traditional rulers had, a fortnight ago, alleged that air strikes on suspected bandits’ camps hit and killed innocent citizens in some parts of Zamfara State. The emirs spoke at a press briefing through the Emir of Bungudu, Hassan Attahiru. The Emir of Bungudu also followed up the claim with the release of the names of some persons allegedly killed in the air strikes. “I also want to state that nothing happened on innocent citizens in the last six months in the state,” he said.